I was extremely young when my family took me to see Star Wars at the drive-in, and there were a lot of details I didn’t remember until years later when I viewed the movie again on HBO — but I remembered Luke flying in his X-Wing. A year later, with slightly better cognitive functions, I was fascinated by Battlestar Galactica and the starfighter combat between the Colonial Vipers and the Cylon Raiders. Did I outgrow my love of starfighters when I got older? Not if the hours I spent playing TIE Fighter, Freelancer, or Rogue Squadron are any indication. Even today, my favorite part of Star Wars Battlefront 2 is the starfighter missions. Tachyon Squadron is a supplement for Fate Core that focuses on playing military science fiction campaigns that center on a starfighter squadron and the pilots of that squadron. This review is based both on the PDF version of the product, and the hardcover release. 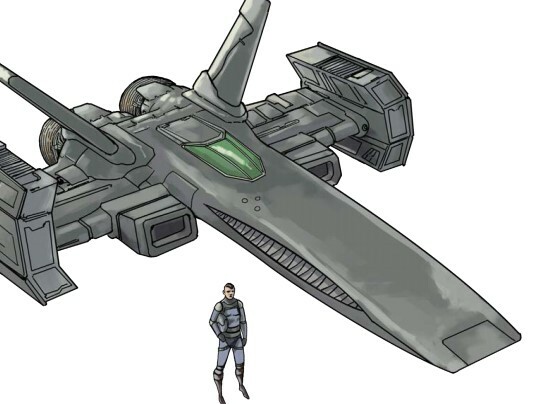 Tachyon Squadron is a 184-page product, with a four-page index, two-page quick reference sheet, a ship sheet, and a character sheet in the back. The physical book is a digest-sized hardcover, similar to other Evil Hat releases. It is a full-color book, with numerous line art illustrations of pilots, starfighters, and capital ships. Formatting is similar to other Fate releases, with clear headers, call-out boxes, and very easy to digest pages of information. 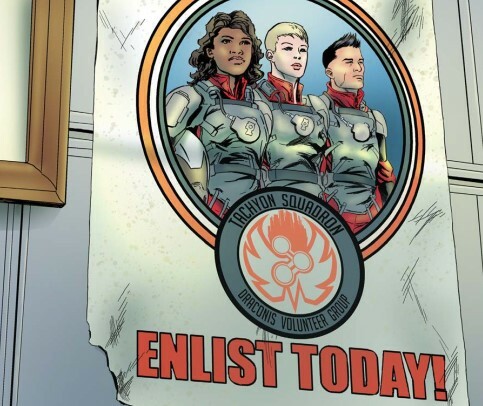 There is a brief five-page introduction to explain the style of science fiction that Tachyon Squadron is emulating. It has a strongly military flavored sci-fi feel, and features humans skirmishing with other humans, rather than dealing with alien threats. Adversaries will include pirates and oppressive regimes, and FTL and artificial gravity technology exist without too many details. There is also a quick callout box to explain how the Fate rules are used and modified for the setting. Creating a pilot delves into some of those ways in which the setting utilizes and modifies the Fate rules. While creating a character will look familiar to anyone that has spent some time with the Fate Core rulebook, there are a few key differences. There are example names and callsigns, as well as some archetypal skill assignment arrays. There are sidebars discussing player safety when it comes to exploring decompression aspects, as well as some guidance on how disability isn’t a limiting factor to fighter pilots in the setting. Unlike a standard game of Fate, in Tachyon Squadron, the Trouble aspect is, instead, replaced with the decompression aspect. This aspect is split between a positive means that the pilot can decompress, and a negative means. The only way a pilot recovers stress is to decompress. If they fail their check to decompress in a positive manner, they can always blow off steam in a less productive manner, which is likely to cause problems for them, now or in the future. The next section of the book delves into skills available in the setting, example stunts, and new rules for gear stunts that are introduced in this book. Those categories help to summarize the expected scenes that pilot characters will play through in the game, as they fly their ship, participate in ground-based missions, and interact with civilians and military personnel between starfighter missions. Gear Stunts introduce some new rule interactions into Fate. These stunts represent equipment that a character has available on their missions, but they can allow characters to maximize a die in certain circumstances. Maximizing a die is just taking a die from the dice, after they have been rolled, and setting it to “+.” If multiple pieces of gear would both help, you may get to maximize more than one die, but you can never have more than two maximized on one roll. While the Gear Stunts introduce ways in which characters can maximize their dice, this is also where the concept of minimizing dice is introduced. In some disadvantageous circumstances, characters may need to set a die from the rolled dice aside and set it to a “-.” Like maximized dice, you never need to minimize more than two dice in a single roll. The turn order in starfighter combat is resolved in a different manner than other Fate conflicts. The next chapter in the book explains how to run engagements, and what the phases look like. Detection involves using the technology skill to determine if both sides know how many fighters the other side has, and where those ships are. Maneuvering involves using the tactics skill to determine what order the ships take their actions. The action phase involves performing standard Fate actions using whatever skill is appropriate to the action. The end of round phase includes degrading the tactics score that was used to determine ship order, as well as being the phase of the engagement where ships that declared their intent to escape leave the scene. At a brief pass, that all can sound a lot more complicated than a standard Fate conflict, but the maneuver chart included in the book helps to illustrate how the rules work, and the individual phases are very clearly explained. Undetected ships can’t be attacked and can attack anyone in the fight. Other ships can only attack ships with their own tactics result or lower. A ship that attempts to bug out can be targeted by anyone, but if they make it to the End of Round phase, they escape the fight unscathed. There are undetected and special spots on the maneuver chart, and the special slot goes after everyone else. This is where capital ships take their actions in a fight. Unlike a standard Fate conflict, in the action phase, players may take actions in Step 1 or Step 2 of the round, with some special actions taking both Step 1 and Step 2 slots. Some actions allow a pilot to reroll their tactics check to move up (or down) the chart, while others may allow a pilot to harass an opposing pilot to change their score and position on the chart. Characters can also do things like making emergency repairs or recovering ejected pilots. Fighters have specific fighter sheets that show what happens when a given component takes damage. Enemy fighters might use full ship sheets, they may use simple damage rules, or they may be organized as flights (several fighters using simple rules, adding shifts to damage as they act as a unit), or as swarms. Swarms are one of my favorite rules for adding a ton of fighters to a battle. They act as free invokes for other ships, and the aspect representing the swarm can be removed depending on the actions taken by the PCs on their turn. Nobody in a swarm is wearing a Corellian Bloodstripe. The next two sections detail what the galaxy looks like and what the pilots of Tachyon Squadron do on a day-to-day basis. There are various example planets and space stations, as well as explanations of the daily duty and routine of fighter pilots, and what various mission profiles look like. In short, the galaxy was split between two big human empires, who were at war. The war came to an end, but a third group split from one of those empires and is now catching all kinds of heat from the less friendly of the two superpowers. Because the Draconis System is a new player in the galaxy, the fighter pilots of Tachyon Squadron are technically volunteer civilian contractors, waiting for the full-fledged Draconis military to get up and running. This sets up the player characters as the underdogs in most fights, trying to cause enough hassle to their better funded and backed enemies to get them to back off, rather than trying to conquer or overthrow any empire on their own. The next section in the book starts off by presenting consistent, current, impending, and future issues for a typical Tachyon Squadron campaign. Consistent issues are thematically appropriate story beats for the whole campaign, current issues are the “starting” problems that the group will likely be taking on, impending issues are those that are ready to move into the forefront in the near future, and future issues are emerging long-term issues that surface once the PCs have had a chance to play with the setting for a while. The chapter then moves into advice on how to structure engagements, with some example opposition for different types of missions of varying difficulty. There is advice on how to handle concessions in starship combat, as well as how to transition missions into “out of cockpit” encounters. The chapter wraps up with examples of how to structure a campaign, with advice on how to determine the opposition’s objectives, and how many times the PCs can stymie them before they change tactics, and eventually start to turn the tide. I’ve always been a big fan of games clearly presenting how they are intended to be played, and this chapter has a very clear set of examples not just for individual missions, but for how the beginning, middle, and end of a campaign should look. The next two chapters have statistics for spaceships, modular equipment, and characters that can be found in the setting. The example player characters can serve as examples, pre-generated characters, or NPCs if the players decide to make their own characters. There are statistics for capital ships and fighters, and the opposition fighters have separate stat blocks for “regular” opposition and aces. The ships have aspects, skill ranks, and stunts, and the more detailed ships have lists of damaged components that can be used in a similar manner to minor consequences, with each damaged component having a special narrative effect, or causing certain rolls to be minimized. 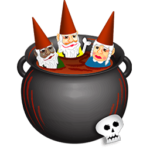 NPCs and sample player characters are very diverse, including characters with various gender identities, sexualities, and physical abilities. While I always appreciate an RPG setting that has that degree of diversity, it’s great to see actual examples of that diversity, rather than just seeing it stated in the higher-level descriptions of the setting. The commanding officers, other pilots, and civilian contacts your character runs into will reinforce that element of the setting. The next two sections of the book contain sample campaign arcs for the game. One campaign focuses on defending outposts and caravans from pirates while also fighting the Dominion, and the other revolves around a space station hub where the PCs may have to root out spies and Dominion sympathizers as well as flying starship missions. To reinforce the idea that Tachyon Squadron doesn’t have unlimited resources and is fighting against a bigger, better-supplied force, the campaign setup section lays out what equipment the PCs can expect to have available to them when their own gear conks out, or when they need specialized tech for missions. There are also outlines of specific scenes that may come at pivotal moments in the campaign, and new NPCs and locations. If you have ever thrilled at starships shooting lasers at one another while dodging fire from capital ships, the text is going to hold your interest. Inspirations and influences is a section of the book where various media that inspired the game can be found. One thing that interests me is that, the longer the RPG industry is around, the more diverse the inspirations become. In this instance, I’m not just referring to a broad range within certain media, but that influences now include tabletop games (including older RPGs) and video games. 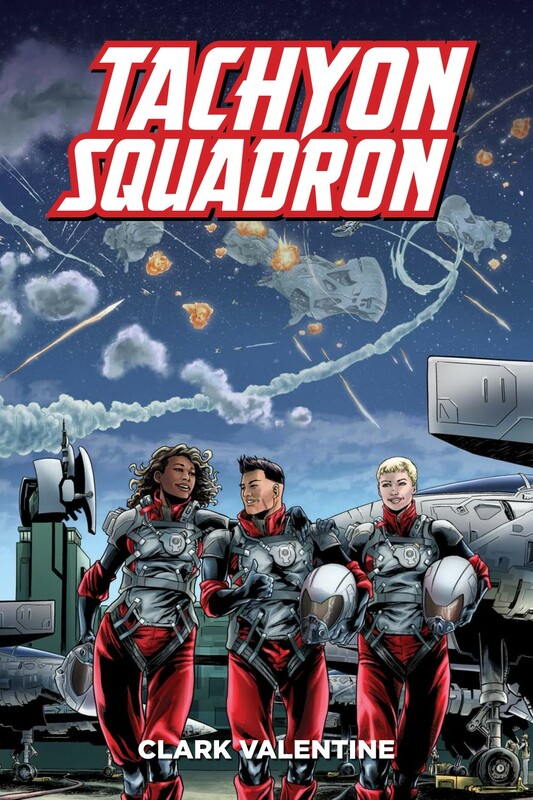 Tachyon Squadron does a remarkable job of explaining exactly what it is trying to do and showing you how to achieve that goal using the rules and structure provided. Minimizing and maximizing dice are tools that may prove useful for modeling other thematic elements in future Fate games. The structure of starfighter engagement creates a procedure that feels like dogfighting without needing to track exact positioning, distance, and orientation. The diverse range of characters reinforces a setting element with substantive content. One of the book’s strengths could also be a weakness — the procedure for engagements may be just a little bit too structured depending on the flavor of Fate you prefer. While it’s not hard to adapt, Tachyon Squadron defaults to gritty “everybody’s human” military science fiction, so if your love of starfighter combat involves lots of crazy ship types, alien co-pilots, and maybe space wizards, you may need to pull from other Fate sources to fill out your preferences. This product is a great example of using existing rules to reinforce the tropes of a genre. If you have ever thrilled at starships shooting lasers at one another while dodging fire from capital ships, the text is going to hold your interest. Even outside of Fate, the structure for creating tactical dogfights without using exact positioning is something you may want to check out. Have you ever adapted an RPG to model your favorite starfighter video games? Do you have a preference on how to model tactical maneuvering between ships in a sci-fi game? How gritty do you like your military sci-fi? Let us know in the comments below. We’d love to hear from you! You have my interest; anything “-fighters” has my interest! What’s nice is that the engagement rules port nicely if you want to use them for more traditional dogfighting in other Fate games. Man, you got my attention. Sounds like great game, I got to check it out! Glad I could point you in the direction of something you might like!